1950's inspired with it's kimono sleeves, full skirt, and gingham print. This dress is comfy and casual but full of charm. ***Sizing : If you have sizing questions, feel as though you fall in between sizes I'd love to help you choose what's best for you. 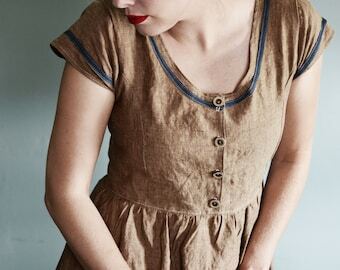 Vintage inspired and sewn from 100% cotton. It’s really a lovely dress! Amazing! I've bought several dresses from Hannah now and they're all beautiful quality. 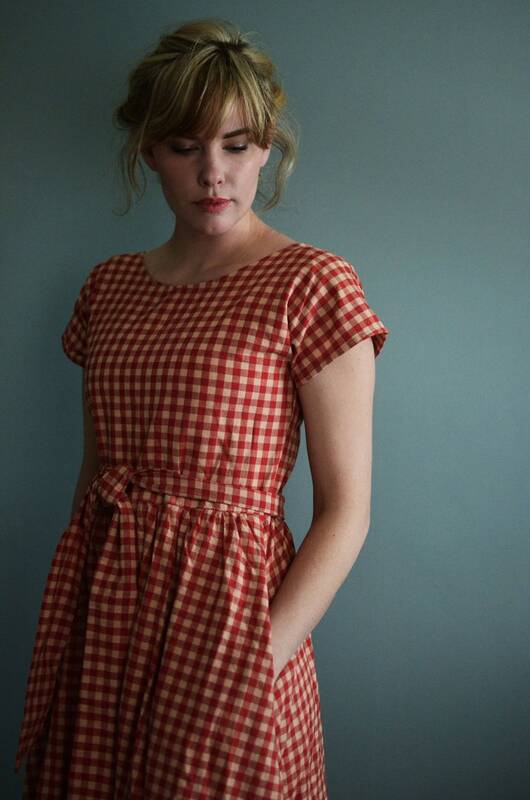 Hannah is a master at making super comfortable, pretty, flattering, vintage-y dresses. I've only been wearing this one for a few hours and have already received a bunch of compliments and questions about where I bought it. I adore this dress!